At Friendship Pet Memorial Park we understand that the loss of a pet can be just as devastating as losing a human family member. The bond between our animal companions and us is a strong one, and they deserve the same respect and care that we provide for our loved ones. 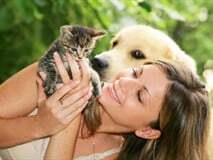 Friendship Pet Memorial Park is a wonderful service for families who want only the best for their beloved pets. Our animal companions ask so little of us, and give so much love in return. When it comes time for you to let go, we encourage you to take the time to celebrate the love you shared. With our experience, and your love, we can create a fitting memorial for your pet. We give every family in our community unique opportunities to learn, share, and remember. We participate in multiple outreach events that include the Humane Society, animal hospitals, and local veterinary offices. 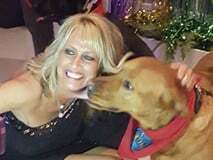 Our therapy dogs accompany us as well to enrich the community in a new and exciting way. Please contact us about any of our services or to meet with one of our family counselors or email us using our contact form.